I love Dr Banerjee, Oksanna Dolinski, and all of the staff. 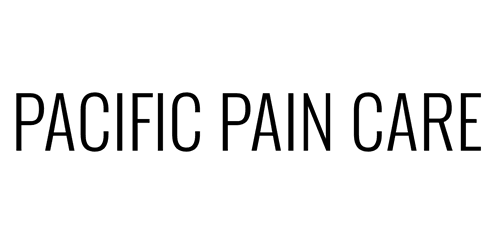 I would recommend them to anyone whom needs pain management. I have been to multiple DR's. They are the only ones who are trying to help me. Every other Dr just kept giving me medications to treat the symptoms but, never looked into why I am having so much pain and how to fix that. Great doctor! Very kind and knowledgeable with outstanding care for others. I would very highly recommend this doctor. I found Dr. Banerjee by looking online for a doctor that had great reviews because I have horrible back pain, and I am so glad I did. He is caring, understanding, compassionate and he listens. I first went to another pain dr in Temecula, and he said he does NOT prescribe medicine. He offered to check my insurance about an injection. I was crying by the time I left his office. Dr. Banerjee gave me an injection on my first visit. The other drs office called me 3 weeks later. Thank you Dr Banerjee!! I have been under the care of many, many doctors over the past decade due to heart and spinal disease issues. Unfortunately most of my experience with primary care and specialist have left a lot to be desired. This is not the case with Dr. Banerjee. He spends ample time with me to discuss my medical issues and he takes a genuine, personal interest in my care. He is one of the good ones and I highly recommend him to anyone looking for a specialist in pain management. After having 5 major surgeries performed in one day I was left with multiple grafts anchored into my pelvis & damaged piriformis muscle which left me in severe pain & on multiple different medications & pain pills a day. I am a mother of two active kids & going thru life sedated or like a zombie was not for me but seemed the only options doctors had until I was referred to Dr. Banerjee. They are always quick to answer the phone, always call you back and even call to check on you after procedures. The entire staff at Dr. Banerjee's is always courteous, compassionate & professional. There is never a long wait, and they greet you with smile. Dr. Banerjee & Oksana never rush thru their appointments, they take their time truely listening to you to help you the best way possible, to get you the best outcome. I am on the least amount of meds. than ever thought possible (generally 2 pills a day -1 pain & 1 Topamax for neuropathy), along with X-ray guided Injections have me working & doing what I love most, keeping up with my husband and kids doing things I was told I would never do again like hiking & rock climbing. They truly care about their patients & I am thankful everyday for Dr. Banerjee and his entire staff, I couldn't live productively with out them.